A Friendly Community in Las Vegas, NV. There is a lot more to Las Vegas than shows and casinos. There are also several friendly and affordable neighborhoods located in the city, and one of the more popular ones is Sunrise Manor. 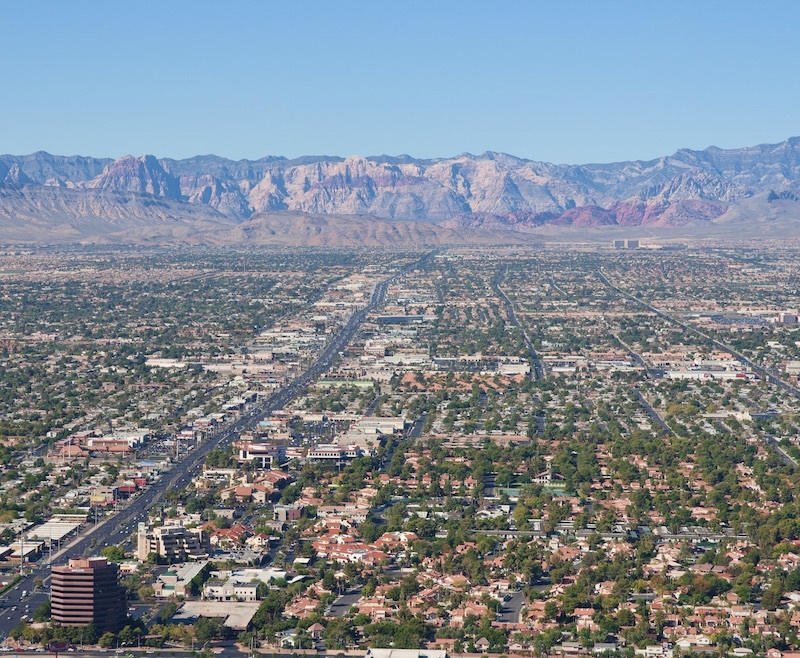 Located only minutes from the excitement of Vegas, but far enough away that residents can escape from the hectic pace of the Strip, Sunrise Manor is the perfect neighborhood to relax and raise a family. Located near the Sunrise Vista Golf Course and downtown Vegas, Sunrise Manor has homes designed to fit a variety of lifestyles and needs. Its close proximity to one of the city’s fabulous golf courses is perfect for residents who want to work on their swing, and the neighborhood park is the perfect place for children to play. The diverse population ensures that everyone will feel welcome, and it is also hard to beat the neighborhood’s affordable home prices. Sunrise Manor is one of the older neighborhoods in Las Vegas, and this is part of what gives the area its unique charm. The small homes are well kept and the older trees give the neighborhood plenty of shade from the hot desert sun. There is also a lush green space for residents to take advantage of, and it is the perfect place for some exercise or a family BBQ. Residents can also enjoy the luxury of a short commute to work on the strip, or catch a ride into the city on one of the public buses. There are plenty of housing options for interested residents to choose from, which includes everything from quaint mobile homes to four bedroom dwellings. The lots can also range in size, making it possible for everyone to find a home that perfectly suits their needs. Whether it is an affordable studio with a view of the park or a two story house across from the golf course, potential buyers can find their dream home at an affordable price in Sunrise Manor. The neighborhood is comprised of a large number of mobile homes, which helps keep housing costs in the area relatively low. These affordable houses make a great “starter” home for young couples or families, especially those new to the Las Vegas area. Find a cute studio or a large 3 to 4 bedroom home in Sunrise Manor, and enjoy the benefits of living in a friendly, close knit community that is also close to the all of excitement associated with downtown Vegas. One of the reasons this neighborhood stands out from the others, is its diverse cultural. There is a large Hispanic and Asian population in Sunrise Manor, which gives it a unique atmosphere that is missing from many other areas. Enjoy authentic food and learn about foreign cultures all from interacting with neighbors. The friendly people also make it easy for newcomers to Sunrise Manor feel like they fit right in. With a wide variety of mobile and stationary houses to choose from, this neighborhood will make anyone feel “right at home”. Looking for homes in Sunrise Mountain- Las Vegas area? We have Realtors ready to help you find the home you are looking for. Fill out the form to the side to find your new home. © Copyright Las Vegas Homes for Sale 702.